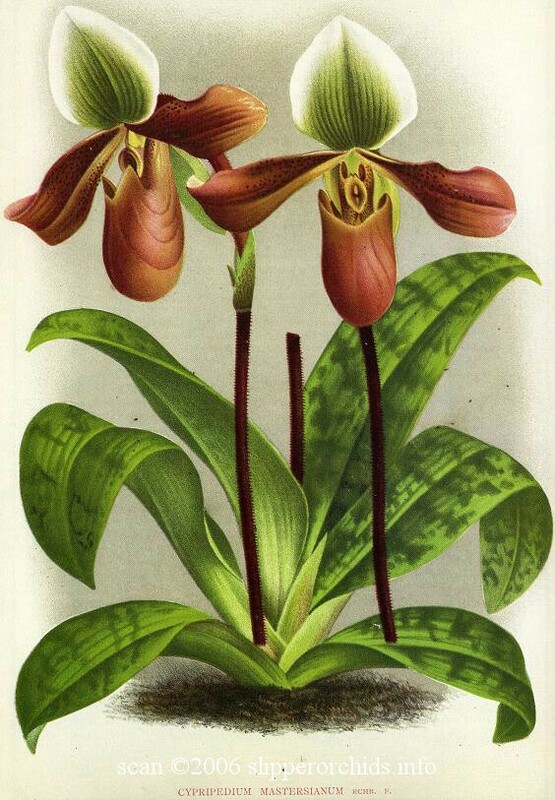 Etymology: Named for Maxwell T. Masters, editor of Gardener's Chronicle. 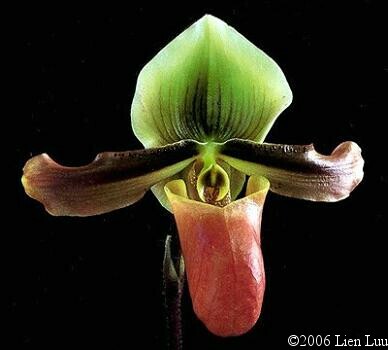 From Van Der Cingel (2001): "P. lowii and P. mastersianum show autogamy by structural modification in which pollinia and stigma develop in contact." 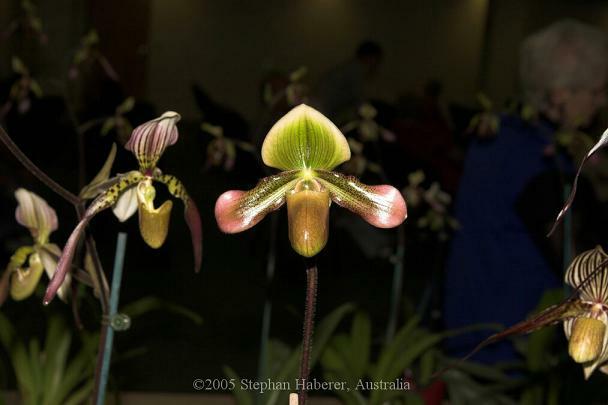 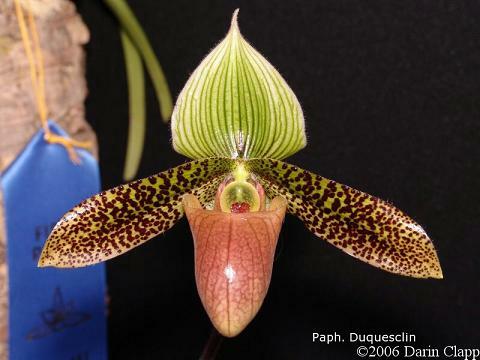 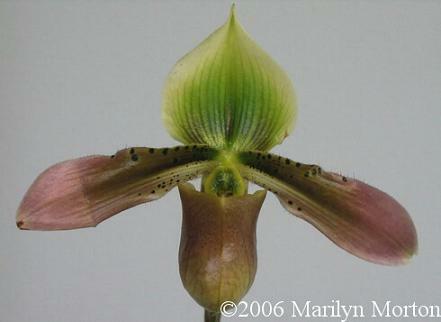 Peterson, Kenneth E. "Paphiopedilum mastersianum - Past, Present, and Future." 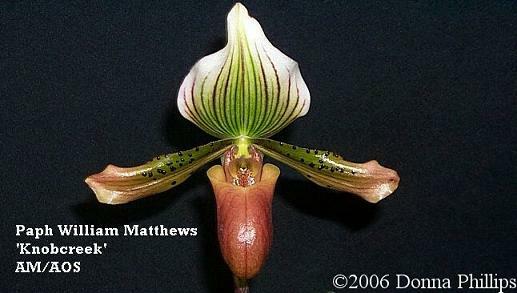 American Orchid Society Bulletin 54, no. 4 (Apr 1985): 398-401.